This month, along with our group of blogging friends, we are participating in a Dollar Store Craft Challenge. This challenge is a fun one! I always enjoy finding ways to use dollar store items in my craft projects. Who doesn’t love a good deal? Since I’ve been doing some crafting for the Fourth of July, I decided my craft would combine patriotic colors with some dollar store items. My Dollar Store Challenge Craft is a fun and simple Patriotic Wreath. I love stopping by my local Dollar Tree to check out the seasonal decor. I always find fun items that I can use for crafting. For only a few dollars, I can combine several of the items I find there and turn them into a decor piece. We encourage you to visit the other bloggers participating in this month’s challenge. Stop by the following blogs for some wonderful inspiration! I’m doing lots of crafting in red, white, and blue this month. When I spotted these packages of patriotic hats at the Dollar Tree last month, I bought 4 of them. I wasn’t sure just what I would make with them, but they were too fun not to buy! Each pack has one red, one white, and one blue hat. Along with the hats, I found foam star wands at the Dollar Tree. I knew I could put these together with the hats for a patriotic decor piece. After looking at the hats and wands for a couple of weeks, I still wasn’t sure what to make with them. Since wreath making is one of my go to craft items, I began to think about how I could use them as a wreath. I tried several different configurations before deciding on the final look. When I pulled out my patriotic craft stash bin, I found a few rolls of red tulle, some glittery star stickers, various types and sizes of ribbon, and a blue metal star. An idea of how to create the wreath began to take shape. I already had a foam wreath in my craft stash, so I was all set to get started. This form is 16 inches. I began by wrapping the tulle around the wreath form and tying it off into a tight knot. From there, I continued wrapping the tulle, bunching it up along the way. It took one roll of tulle to cover about half of the wreath form. The roll was 6 inches x 31 yards. Since I was planning on covering the wreath with the hats, I could have used only one roll, without as much bunching. But, I often repurpose wreaths, so in its next life, it might need to have the full look. I continued wrapping one more roll of tulle around it. Once the wreath form was completely covered, I used a dab of hot glue to secure the end of the tulle to the wreath. Before adding the hats to the wreath, I cut off the attached strings. After trying several different looks, I began putting the hats in place on the wreath with hot glue. I continued hot gluing the hats to the wreath. I used a total of ten hats on the wreath. I added a star sticker to the top of each hat. Using a small piece of red, white, and blue ribbon, I made a loop for hanging. It’s hot glued and stapled together. It’s stapled and glued to the back of the wreath. The metal star that I had in my craft stash has a small hole for hanging in the top. I ran a piece of twine through the hole, tied it off, and slipped it over the loop ribbon. Using more of the the red, white, and blue ribbon, I tied a simple bow around the loop of ribbon. The last touch for the patriotic wreath was to add the star wands. I used a piece of the string that I cut from the hats to tie three of the wands together. I trimmed the wand sticks down so that they wouldn’t be seen. The wands are tucked into the ribbon to keep them in place. The new items for the challenge include the hats and wands. The tulle was purchased at the Dollar Tree last year. Using items already on hand, (ribbon, wreath form, metal star, and star stickers) kept the cost for my Dollar Store Craft Challenge low. The hats are made of plastic, but the wraps around each hat are paper, so I don’t plan on leaving this outdoors to be exposed to rain. I’ll hang it on an inside door instead. Last summer, I made a quick and easy Coastal Wreath using scarves I purchased at the Dollar Tree. Click below for the details on how to make this very inexpensively from dollar store items. 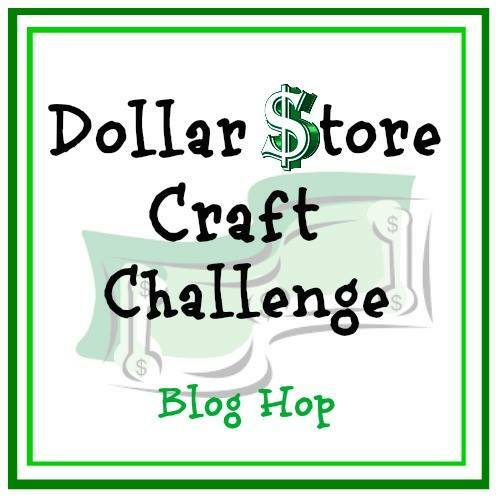 Be sure to stop by the blogs listed above to check out how they met the Dollar Store Craft Challenge! Your patriotic wreath is so adorable and unique, Beverly! Love, love, love how you used those dollar store items in putting it together! Looks very classy! Thanks, Gail! It was fun to find a way to use dollar store items! What a fun wreath Beverly! I love your clever use of the hats to make it. It gives so much dimension and wow to the wreath. Great idea and it must be very commanding in person. I wasn’t sure if the hats would look quite right on a wreath form, but I was happy with out it turned out. Thank you, Mary! It is creative and fun and I love everything about it!!! Thanks! It was a fun and easy wreath to put together. This will be one of my Featured posts at the new party! How fun! Thank you, Shirley! I’ll be there. That’s one of the great things about dollar store items-you never know how they can be used to make a fun craft. Thanks, Marci! Thanks, Jess! Thanks for the party! That is seriously adorable Beverly and I’m impressed it’s made from dollar store finds. Very creative and clever! I think I need a trip to the dollar store to make a Canadian version for our 150th Canada Day celebrations. Thanks, Marie! I love using dollar store items for fun decor, especially seasonal decor. I’m sure you would find some fun items for Canada Day. This wreath is really great and perfect for the patriotic holidays. Thank you, Julie! Thanks for the party. Super cute Beverly! Sharing. Visiting from Sew It Cook It Craft it party. Thanks, Victoria! I appreciate the share! I love this! I am always strolling the aisles of Dollar Tree looking for just the right items to turn into a craft or decorative item. Your wreath is so cute! If you have one of these challenges in the future, I would LOVE to join you! Keep me in mind, and I would love it if you would stop by on Monday evening and share this at Celebrate Your Story! link party! Oh my gosh! I am so crazy, I just now saw that you DID share this at the link party last week! YAY! Thanks, Chloe! Dollar Tree is great for finding items to use for seasonal crafts. 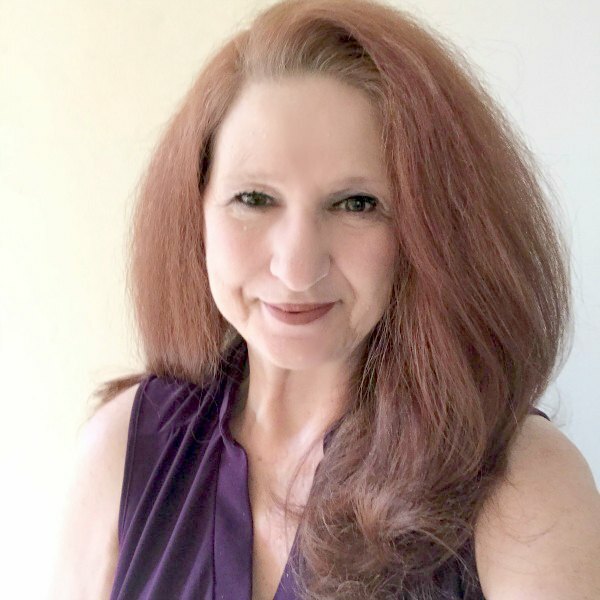 I’m in a Facebook Group with several blogging friends and we’ve recently started to have a challenge category each month. We do upcycyle challenges, recipe challenges and we’ll be doing another dollar store craft challenge again in September. We’d love to have you join us. Thanks so much, Emily! I appreciate the feature! Your wreath is so doggoned awesome, such a great idea and pretty simple to put together. Wonder if our 2 $trees have those hats and some other items could use in case no star wands. Could keep wreath for every patriotic holiday. One of our $trees doesn’t have the better stuff but one with good stuff is further away. You sure put your creativity to good use with this, gold star for you. Thank you! It was simple to make and I agree, it will be great for any patriotic holiday. Hope you find some items that will work for you at your local dollar store. What a great project! I had to pin it – Thanks for sharing on the Pleasures of the NW’s DIY party! Thanks, Helen! I appreciate the party and the pin! I’m a huge Dollar Tree fan, and this wreath is adorable. I love turning frugal items into beautiful décor. Thanks for sharing on Sunday’s Best. I love the Dollar Tree for lots of crafting items, too. Thanks for the party, Rhonda. Hope you have a great weekend.